Sometimes you just need a good spicy dish to liven up your dinner menu. This Dirty Rice is just that! You can control the spice level by adjusting the creole seasoning amount in the dish. 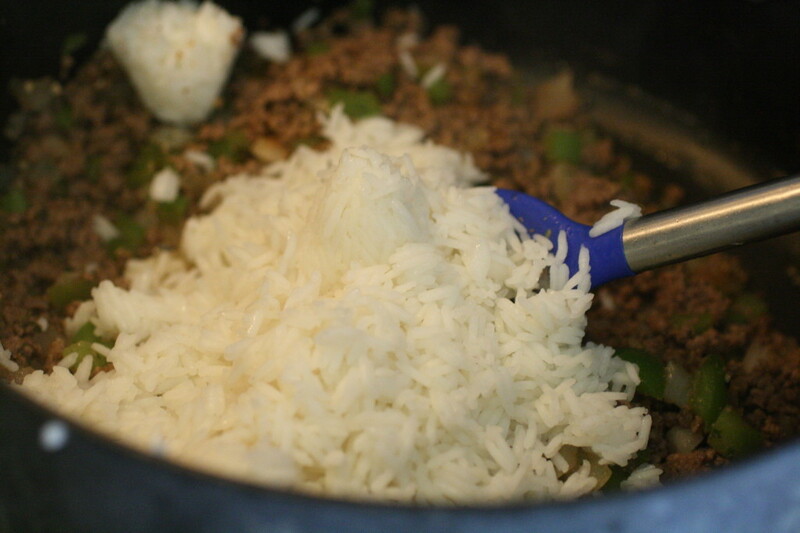 It is a wonderful combination of green peppers, onions, rice, and ground beef. 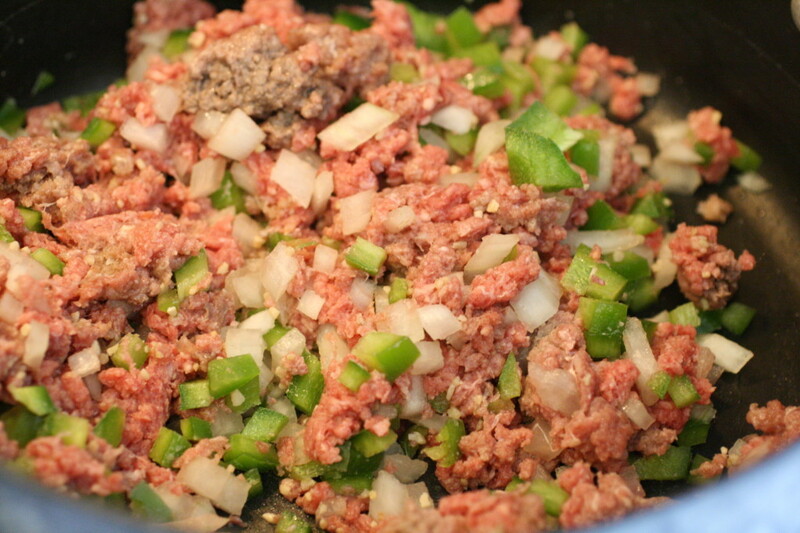 You can also use a mixture of ground beef and sausage to make the dish more authentic. One of the great short-cuts that I use in this dish – boil in bag rice. Makes the rice quick and simple and helps to get this dish on the table in less than 30 minutes! 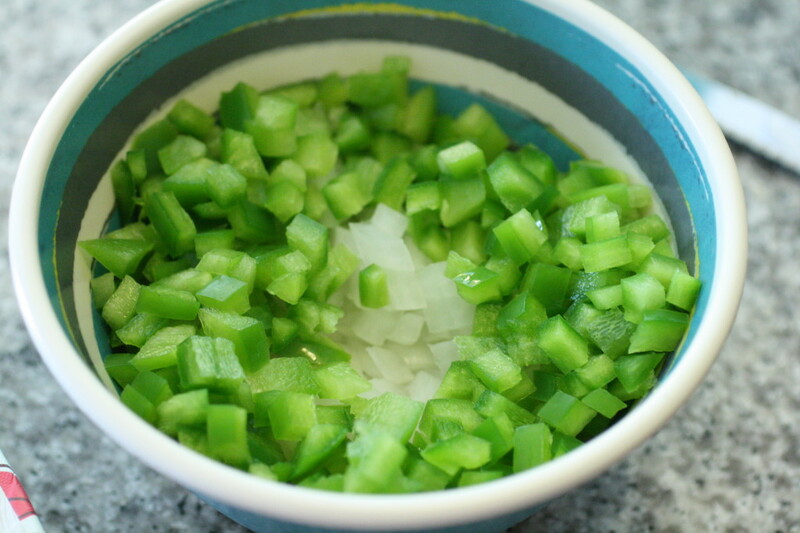 First we will dice up our green bell pepper and onion. This will be added to the meat mixture when we brown it. 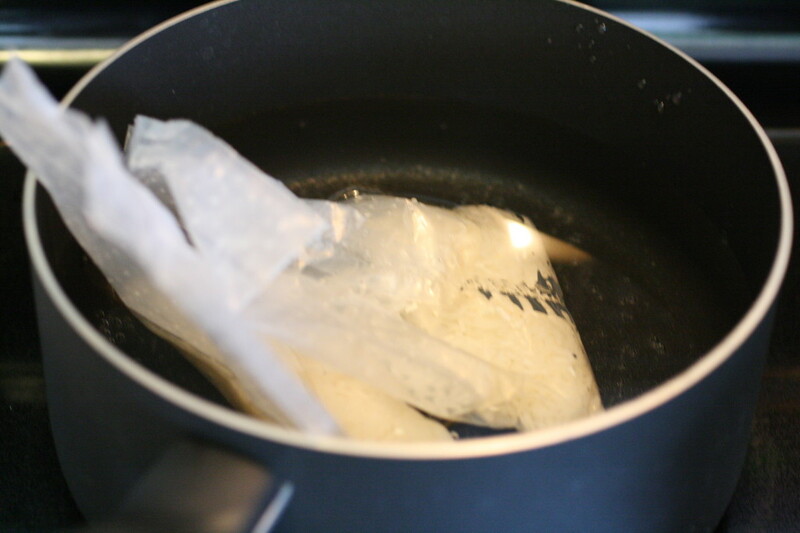 Before starting my meat, I usually go ahead and get the boil in bag rice going so it will be ready to add in at the appropriate time. Follow the directions on the particular brand that you are using. Next, I put the garlic, pepper, parsley, and onions into a pot with my ground beef and brown. Drain off the grease and then add the Cajun seasoning to the mixture. Once you have incorporated the creole seasoning, add in your rice and mix well. 1. In a large skillet over medium heat, brown the meat with the onions, peppers, garlic, and parsley. 2. Add Creole Seasoning and stir. 3. Stir in the rice and continue cooking over medium heat for 2 minutes. Make sure the rice is incorporated well with the meat and vegetable mixture. Mmm, this looks really delicious! I have got to pin this to make later for my family! Thanks for stopping by Stephanie! I hope they enjoy it! This looks soooo good!!! I’ve been looking for a good rice recipe…Pinning so I don’t lose. I found your blog via the Connections for Blog Growth page and I really like the variety I’ve seen! Can’t wait to take part in some link parties!! Thank you for stopping by! It is oh so yummy. Check back on Tuesday 8am, Wednesday 8am, and Thursday 8pm for link parties. Would love for you to link up! 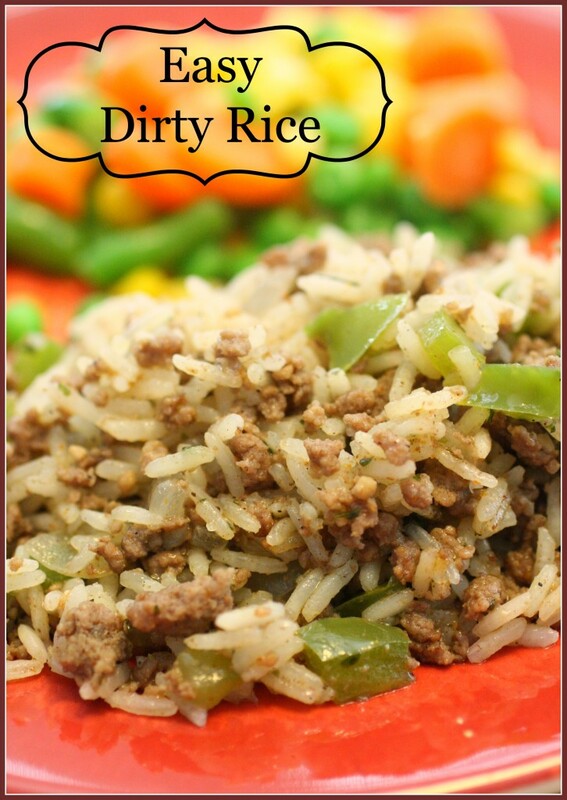 I grew up on dirty rice but thought it was something my mother made up til about 10 years ago! Hers also had celery and sometimes mushrooms but no Creole a seasons. She used soy sauce! Definitely something Louisiana mothers would NOT be using in their dirty rice!! What did you pair this with? As far as side items? I just fixed some steamed mixed veggies – nothing formal really. I think a nice side salad would work as well.